A question before I finish my review. I have an volume problem if I'm using my phone to change it. It would jump back to the previous level. Does anybody have an similar problem? The goal is to finish and upload my review tomorrow! Hope you all like it. Here is my review as well, @AnkerOfficial. We will have more new product testing event in May, don't miss it! All the good reviews will collected by us, your hard work will be promoted on our social media platform. Hope you "collect" those written at AMAZON as well. It will be classified into the Soundcore brand in the future. 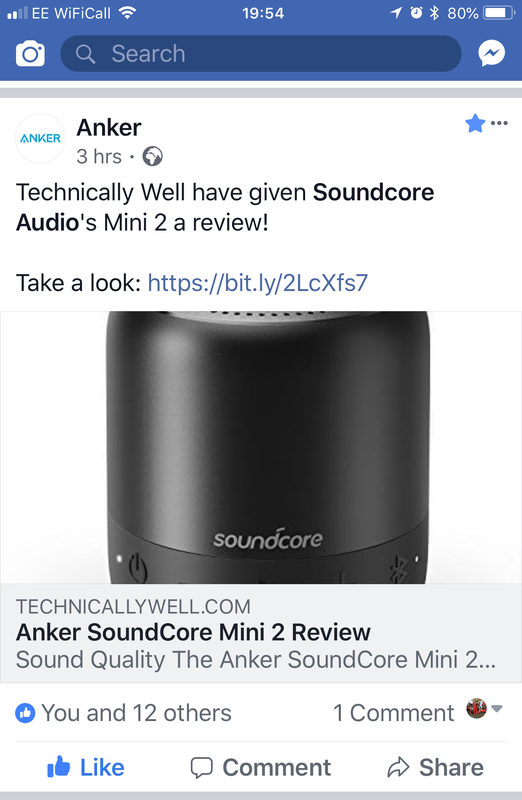 Why have all the other Soundcore products been shipping under the Anker brand then? It's confusing as both Eufy and Anker are shipping Soundcore products. Any estimate as to when Soundcore will start shipping their own products? Thanks @Oggyboy and thanks @AnkerOfficial for the mention! In the future, more and more good community reviews will be seen on social media! Keep up the great work! I would test it while we are grilled at home, in the park or at our friends and or families house while listening to music. We grill all year round. All the time, at birthday parties, or just listening to music. Stick around there will be chances to try new releases from the Soundcore range that might interest you both.